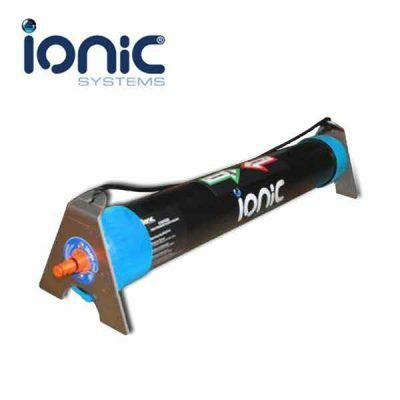 Ionic Aqua Audit, Australian TDS Water Readings. 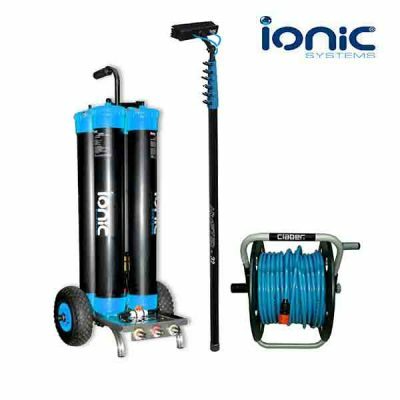 Ideal for exterior window cleaning, solar panel and façade cleaning at any site were there is ready access to both mains water and power. Twin parallel Reverse Osmosis Filters. 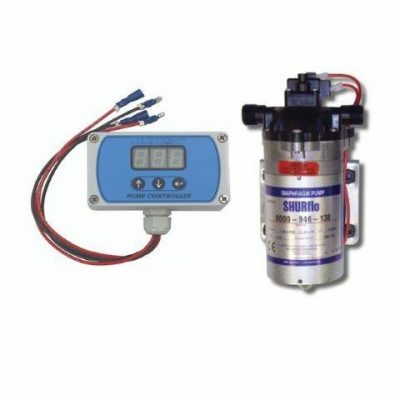 The Quattro System can consistently and efficiently produce an ample supply of pure water at excellent pressure thanks to its powerful booster pump. RENT TO BUY FROM $49 per week ! 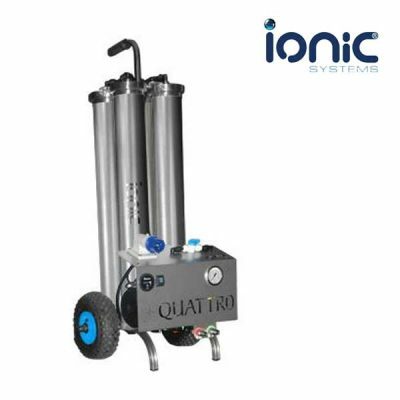 QuattrRO Unpumped (Carbon, Sediment, RO, DI) on Stainless Steel Trolley, Reverse Osmosis. 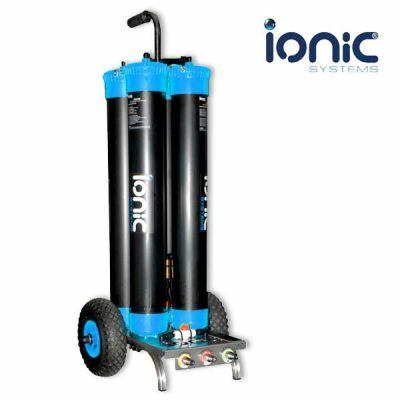 The Un-Pumped QuattRO- Reverse Osmosis- Four 30 Inch filters- Carbon, Sediment, RO, DI. Caddy (Carbon, RO, DI) System, Reverse Osmosis. The Caddy allows waterfed cleaning wherever there is access to a water supply. 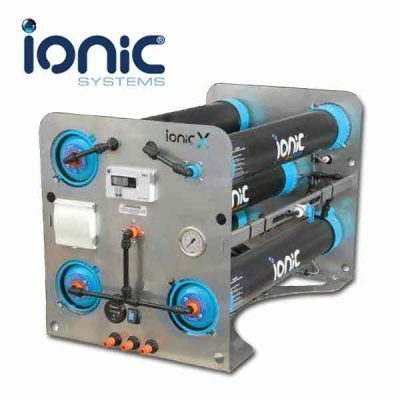 There are several Caddy configurations, from those that use only de-ionisation (eg for soft-water areas) to those incorporating reverse osmosis for harder water areas. TASK™ 2. 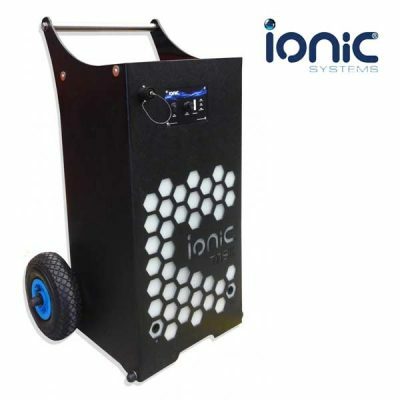 This trolley is designed to get in where a vehicle would struggle, offering greater power, efficiency and flexibility. Triple Caddy reverse Osmosis System on stainless steel trolley. The Caddy allows waterfed cleaning wherever there is access to a water supply. 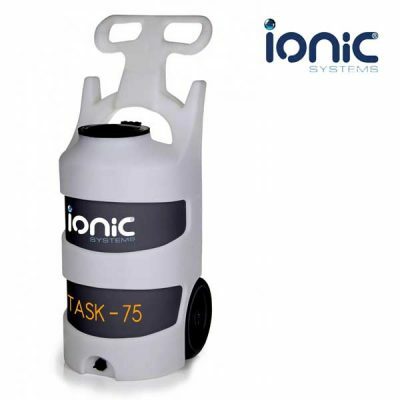 There are several Caddy configurations, from those that use only de-ionisation (eg for soft-water areas) to those incorporating reverse osmosis. The Caddy allows waterfed cleaning wherever there is access to a water supply. There are several Caddy configurations, available, Single, Double and tripple. The big brother to the “Residential” cartridge system. Quad Filtration System ready for work, complete package. Tripple Caddy Package Complete. Ready for work. carbon RO DI on a stainless trolley, with hose and reel. Matched with a 24ft Grafter Carbon Composite water fed pole. 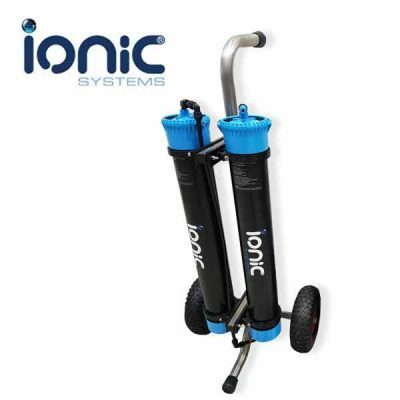 Triple Caddy Reverse Osmosis Systems Package with 24ft Grafter Pole. 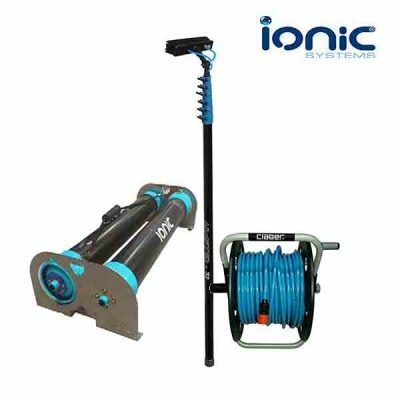 Ionic Systems provide home owners and cleaning businesses of Australia with state of the art solar panel cleaning kits and equipment. Access to solar power benefits both the environment and your electricity bill; however, in order to properly reap the benefits of this renewable energy source, it is important that your panels are cleaned regularly. 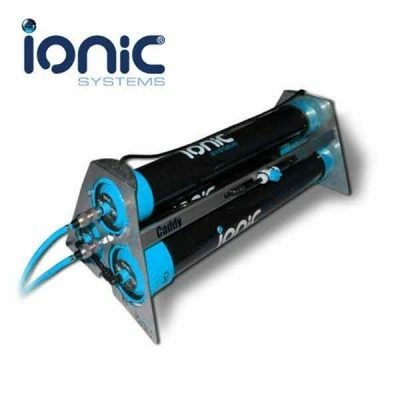 Portable on-site systems are designed for situations when there is access to a water supply, a power supply or both. 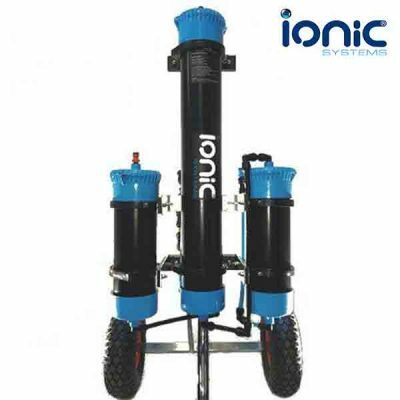 Sometimes, the nature of a site means that access to water and power is not a problem, and water can be purified for cleaning as and when it is needed. 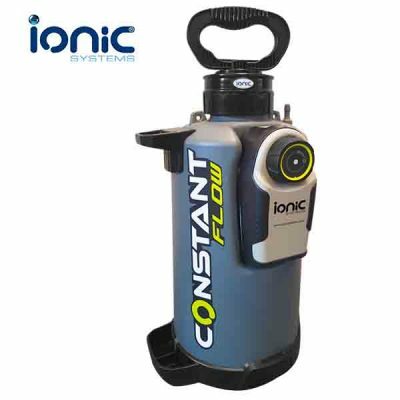 Our van mounted solutions will cater for situations, when water is not available and systems will be ready to run within minutes of arriving at a job location. Without a regular clean, your solar panels can be susceptible to industrial corrosion, build up of dirt and dust, pollution, mould and algae – as well as this, animal waste and bird droppings can cause an issue. Any unwanted substance can mean the solar panels do not function as well as they should, leading to a drop in productivity and lowered energy efficiency. 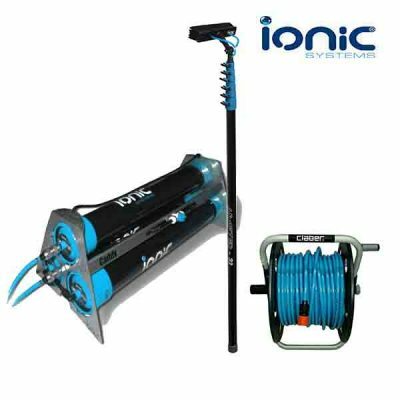 This is why it is necessary to get a good solar panel cleaning brush powered by one of our many pure water systems, to get all the grime and unwanted materials off your solar panels so they can continue to run effectively. A specialised solar panel cleaning kit makes it easier to clean your solar panels effectively in order to restore them to their peak condition. Rather than relying on harsh, abrasive substances that may damage your panels over time, choose the products that will treat your solar panels right. 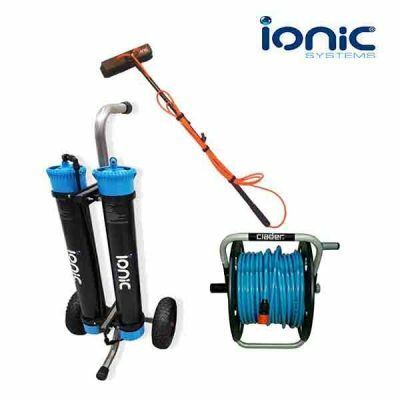 For larger buildings and specialist cleaning (such as using rope access) our on-site solutions offer a versatile and highly efficient method to produce an ample supply of pure-water. As the leading providers of solar panel cleaning solutions in Australia, our expertise also extends to solar farm cleaning. 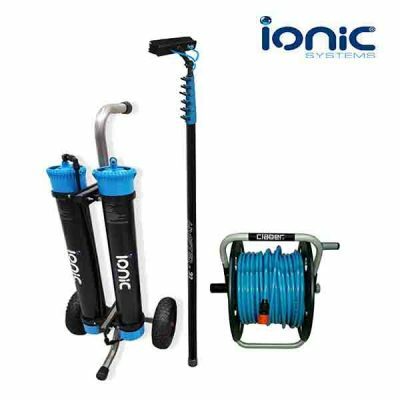 Either in a high-rise apartment block or a commercial development building, having access to safe and efficient cleaning equipment is important for overall revenue. If you require further information on our window cleaning or solar panel cleaning products, please do not hesitate to contact us. We will be more than happy to assist you with your final decision to help you to find the right cleaning products for you. 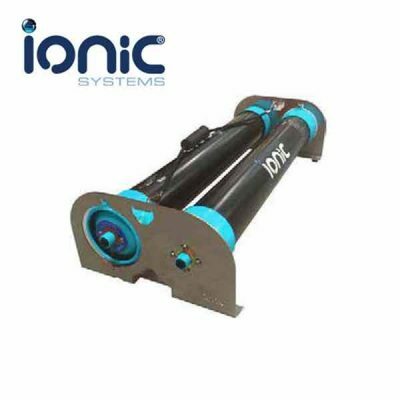 Experts at both commercial or residential equipment, Ionic Systems create a dedicated solution. Whether you require cleaning for a solar farm or just residential purposes, we’ll have all your needs sorted in no time. The best way to see how a Reach & Wash® System can help your business, is to see it for yourself. Just get in touch to arrange a free, no-obligation demonstration. We have been very impressed with this system and will certainly be investing in another one in the future as we continue to expand.